(San Juan, Puerto Rico) 2003 - 2004. Photos. Framable Color Prints and Posters. Digital Sharp Images. Aviation Gifts. Slide Shows. Fina Air (Puerto Rico) SAAB 340A N112PX (msn 025) SJU (Sam Chui). Image: 935297. The short-lived airline was named after Josefina Canto who was the mother of founder Lazaro Canto. 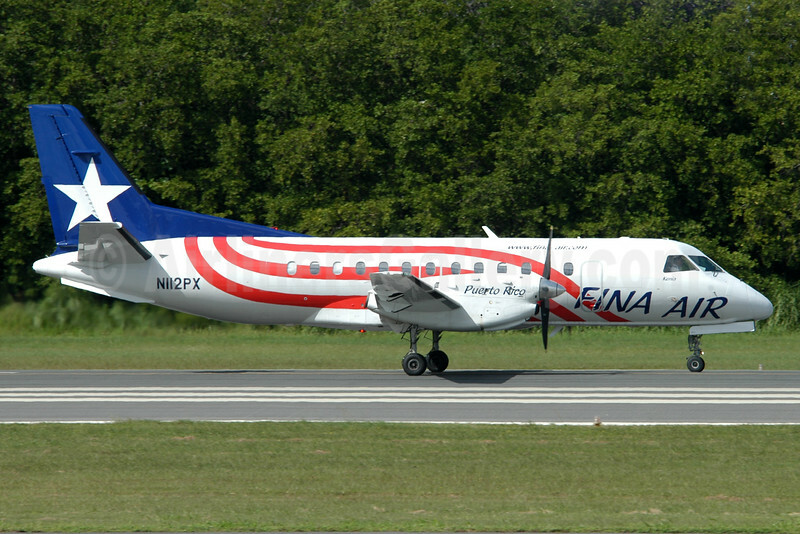 Fina Air operated charter flights to the Dominican Republic from Luis Muñoz Marín International Airport in San Juan, Rafael Hernández Airport in Aguadilla and Eugenio María de Hostos Airport in Mayagüez.